A certain drinking culture and tradition has evolved around “De Geele Köm”, which still exists on the islands and Halligen in the area of the North Sea. Here, the famous tea punch would be unthinkable without De Geele Köm. 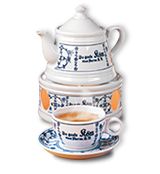 The “De Geele Köm” is supplied with teapot and cup – perfect for Friesian Tea Punch. Pour hot tea into 2 to 3 heat-resistant glasses with sugar to sweeten. 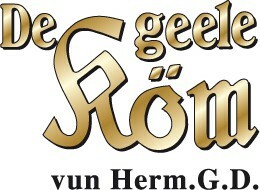 Add De Geele Köm according to taste.